The Foreign Exchange Markets, or Forex, is the Exchange of currencies from all over the world in a virtual form. When we talk about forex trading, we are referring to the action or movement each currency is taking against the other one and how our prediction will end up being correct or incorrect. Throughout the day, all currency prices are moving up and down. We, as traders, are looking to predict accurately whether the price of a currency will rise or drop. As simple as it sounds, with Forex as well as for Binary Options, we don’t buy the actual share, instead, we bet on the prediction after a deep analysis on the currency pairs to make profit out of the accurate prediction or, in the other case, to lose our investment if our prediction fails. There are some differences towards how Binary Options work. With Forex, you will have a few more benefits than with Binary Options, starting with the availability of Forex Brokers in several more countries, which makes it more convenient for some Binary Options traders that have to struggle with finding a legit and trusted Binary Options broker. We are not saying Forex is better than Binary Options, we are saying they are similar, yet with significant differences that we need to take into consideration. Forex gives traders the option to predict if the price will go up and down, just as a Binary Options broker. The price going up is called “Buy” and the price going down is called “Sell”. While at Binary Options you are looking to end below or above a specific price for at least one pip in order to take your earnings, with Forex you need to see a wider difference in regards to the entry price so that you can make significant profit. Keep reading as we will explain it in more details below. Forex requires a Meta Trader 4 or 5 (MT4/MT5) platforms in order to operate with any broker. Although some people find that difficult to deal with, the majority of Forex traders finds it perfect as you do not have to use an external trading chart to place your trades. MT4 and MT5 will have the price chart for you, plus, you can enable sound notifications at a certain price that you are waiting to be reached and the platform itself will notify you when to enter the trade. We as the Binary Living Way family find it fascinating as it saves a lot of time with people that are working and trading at the same time. Although we recommend you to stop your tasks and concentrate on trading, we understand that sometimes that is not doable, which is why we offer a Signal Alert for free so that you can just wait for the notification to sell or buy accordingly. Forex will handle all USD, EUR, GBP and JPY among others. Forex does not have any expiry time. Meaning that the trade will continue to go until we decide to close it. In Forex is called an “order” when we place a trade. We can close that order anytime we want or we can set it up to close it when it reaches a certain amount of earnings or losses. With Forex, the more distance is between your entry price and the actual price, the more earnings you get. For example; if my entry price is at 100 and I chose the Buy option, the higher the price gets, the more profit I am eligible for. So if the price is at 150, I am ITM, however, if the price is below 100 we are OTM. When we mentioned that we can set up the order to be closed at a certain profit or loss is call Take Profit (TP) or Stop Loss (SL). Meaning that we can set the order to be closed so that you can take profits when the price reaches 150 or to stop loss when the price drops to 50. That way, you can avoid losing more than what you are willing to or you can take the profit you are targeting. This interesting feature comes along with the option to close the order even before the TP and SL are reached. This helps traders take a considerable profit whenever the pair is going in the wrong direction, but while they are still ITM. If you are a person that likes to have more than one broker, Forex does give you the option to host more than one account inside of the MT4 or MT5 platform. You only need to add the different accounts to your MT4 or MT5 platform and switch them anytime you want to and use the broker you feel like using at that specific time. There are a lot more alternatives to choose from with the Forex trading than Binary Options. A few years back, the minimum deposit for any Forex broker was around $1,000 which gave very limited access to the many interested traders that were interested on this niche but did not the money to afford that first investment. Nowadays we have XM with a minimum deposit of $5 yet is one of the best Forex brokers worldwide. 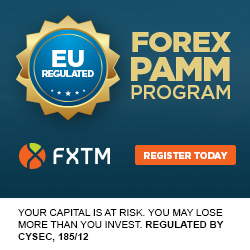 We also have AvaTrade and FXTM that are fully regulated brokers with minimum deposits of no more than $200. This has opened the doors to a whole new world in the trading industry and has made the Forex trading grow amazingly fast during the last year. Even if you are happy with the Binary Options industry and don’t have any issues with the brokers you are working with as you live in a country where you don’t have to face with legal issues or lack of choices like US, Australia or Canada, you can take advantage of the Forex trading world as XM offers a completely free Demo Account without a deposit required. Therefore, we recommend you to give it a try and check the pros and cons and decide which one is the right niche for you. Thank you very much for reading the explanation of the Forex trading and please comment in case you have any questions or email me to binarylivingway@gmail.com.